Following the shock resignation of Harry Hadley in August 1922, Chesterfield allowed a month to pass under the caretaker-management of Alderman Harry Cropper before appointing Harry Parkes to the Secretary/Manager's post in September. Born the son of a brick maker in 1888, Parkes captained the football and cricket teams at Halesowen Grammar School and played for local sides before joining West Bromwich Albion in 1906.He appeared in an FA Cup semi-final for The Baggies before joining Southern League Coventry in 1908. Six good years there ended with a move back to Albion but war intervened, ending Parkes's playing career. He embarked on life as a coach with the Baggies and was chosen to manage Newport County in 1919. County had just been promoted to the First Division of the Southern League and Parkes brought stability and good order to the place in a short time. The under-resourced club punched above their weight under Parkes and this made Chesterfield swoop after Hadley’s sudden demise. An unlikely push for the Championship in Parkes' first season withered as rival clubs won late games in hand but the final position of fourth was seen as a success. Accordingly, Parkes' salary was increased to £7 a week by an appreciative board. A few players imported by Hadley were shipped out, mainly to address a lack of unity between English and Welsh "camps" at the club, and Parkes set about rebuilding in his first proper close season by leaning heavily on experienced men like Arnold Birch, the ex-Wednesday keeper, Herbert Tyler, Joe Potts and Horace Henshall. The club was not yet set up to find and recruit local talent, so the likes of Arthur Bacon and Stewart Littlewood (who would later score five for Port Vale against us) slipped through the net. Parkes' team of veterans actually managed to finish one better in 1924 but, as the senior men moved on, they were not adequately replaced, and a finishing position of seventh in 1925 was the club's worst under Parkes' stewardship. Financial constraints saw only one fee paid during the summer of 1925; £60, to Manchester City, for the registration of a reserve full-back named Jimmy Cookson. He would prove to be Parkes' greatest discovery, once moved into the centre-forward position. Cookson's forty-four goals in 33 games propelled the club to another 4th-placed finish. The side shaped well in 1926-7 and were lying in second when a side debilitated by injury (in the days of no substitutes) lost 8-1 at Rochdale in December. The confidence evaporated and the team slipped to finish in seventh place. The finances had been put under a great strain by the introduction of an "A" team for promising juniors and local amateurs and there was an air about the place that something had to change. As is usually the case, that "something" became the identity of the club's manager. The circumstances surrounding Parkes' departure were not fully documented. The bald fact is that a board meeting took place away from the club on March 25th,1927 and, after a long discussion about the club's finances and playing position, it was concluded that Parkes should be sacked. One can only surmise that the board were somehow dissatisfied with Parkes' performance, although that seems unjust, to say the least, when considering that the team never finished lower than seventh under his stewardship, and that he produced a steady string of saleable players to keep the financial wolves at bay. Lincoln City moved swiftly to appoint him as manager and, under him, the Imps flourished. His excellent record of finishing positions at Chesterfield continued at Sincil Bank, where the side never finished lower than 6th and were promoted in 1932. With twelve successive top-seven finishes in Division Three (North) Parkes deserves to be considered among the leading lower-division managers of the inter-war period, although success dried up when taking over at Mansfield in 1936. While with the Stags he invented something called the “Mechanical Kicking Machine” which was intended to shoot footballs out of a steel tube, for training purposes. 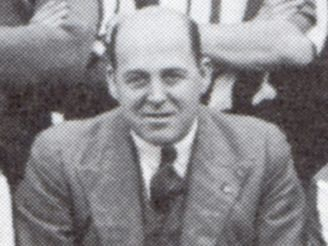 His management career finished in 1939, when he resigned after one half-season at Notts County produced an indifferent finish. Harry Parkes settled in the Nottingham area and died in 1947.